Part of the M Gallery by Sofitel Collection, this is the first M Gallery to grace the scene of the London hotel market. The 86 cinematically-styled luxury bedrooms have been designed by architects Michaelis Boyd whose portfolio includes Soho House Berlin and Babington House. The cinematic themed hotel playing homage to the world famous premiere square to which it will call home includes free movies and Joe and Seph’s popcorn left by Guest’s bedside during turndown each evening and amazing views of all the premiere action from triple insulated rooms, for a soundless night sleep! 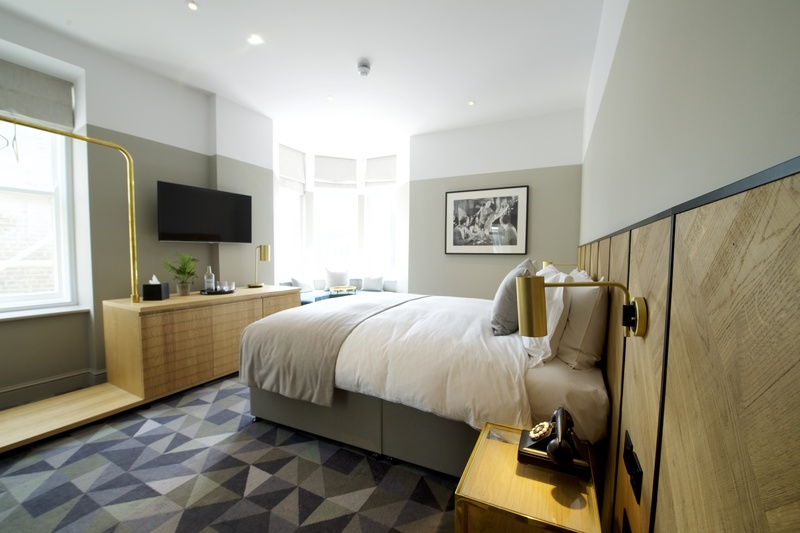 Victory House is perfectly located for those travelling to London on business heading to the West End and for tourists exploring the city, located within easy walking distance to Soho, Covent Garden and Oxford Street. Corporate rates are now available and include access to boutique Gym, Gymbox St Martins Lane and high speed WiFi free of charge, naturally. To organise a showaround and learn more about the hotel and corporate rate opportunities click here.